Q. 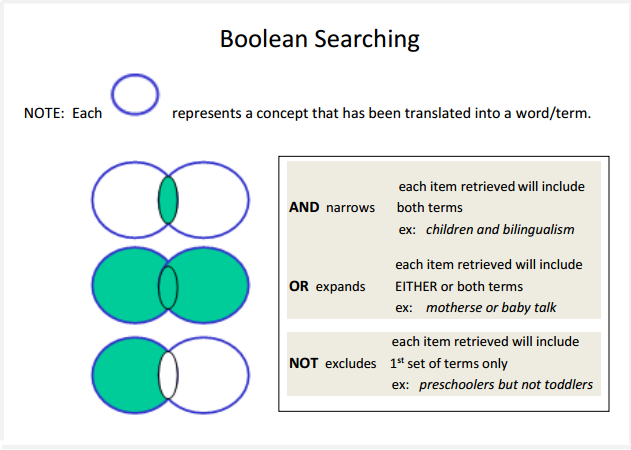 What are Boolean Operators & how do I use them to search? Gale Databases use common Boolean operators such as the the three connection words seen below. These "operator search" words allow a researcher to include or exclude subject/topic-type words in a text box search that will instruct the search engine to retrieve more relevant search results. From the Research Center home page, look for the box entitled "Searching a Database." Click on the link for "Boolean Operators" for more information.